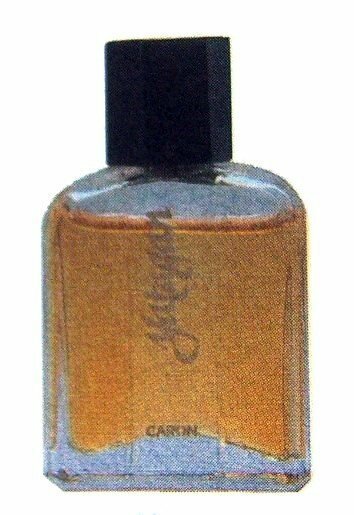 Yatagan (Eau de Toilette) is a popular perfume by Caron for men and was released in 1976. The scent is spicy-leathery. It is being marketed by Alès Groupe. Yatagan is the name of an Ottoman sword and a Turkish city. the trees groaned heavily and crashed into mud, moss and herbaceous earth. The log pond in the sawmill gratefully collected the scents of the giants; a melange that made me curious about the origin. And I stumbled over the tap roots, fell into the heavy earth, into the impenetrable past of the black continent; broke through the dense curtains of the mangrove, in which individual flowers flushed in from the Atlantic hung and breathed deeply. What a fragrance! The Gueltas in the Ennedi massif are already behind me. The animal breath of past crocodiles fled quietly over the sand of Sudan and slowly disappeared into the nightfall. "Peaceful as the forest, you mean? You don't even know what you're talking about, you lout!" There is a certain class of figures that have meanwhile at least disappeared from German-language literature, but were more frequently to be found until the 1960s - not only in upmarket literature, but also in H.G. Konsalik's and Co.'s works - for example, Joseph Roth's œuvre or Alexander Lernet-Holenia's, in particular. Here in short strokes an exemplary illustration: A lean, elderly gentleman of at most medium size sits in the leather armchair of his small library. The accurate moustache and the surprisingly flowing movement of his age, with which he leaves the armchair to greet him, suggest a somehow military background. The handshake is firm, but not dominant, the conversation develops friendly, the eyes are lively and interested even in casually cut themes. Not the slightest trace of senile bitterness. A classic gentleman in every way? A "gentleman", therefore, to try this shamefully ridden, poor word again? Is it so easy? On the window-side wall and behind some showcase panes there are all sorts of irritating things: Cossack arrows and bows, a somehow Turkish looking sabre (well...), strange headgear, a Tschibuk pipe, started orders, which neither to Prussia, Saxony, Bavaria nor to the k.u.k.. Monarchy include, a dried monkey hand (? ), something that looks like a shrunken garland (??). The visit asks about the bearskin that was draped so casually-beautifully on the Divan, just to find out that it fell to the former officer (so much we already know) during a Balkan offensive. Separated from most of his regiment in the snowy skirmishes, he had no choice: without the warmth of the bearskin (and, please, his still steaming intestines! ), he and his adjutant would hardly have survived the night. It turns out during the afternoon that his life was woven from such episodes. He was one of those men to whom the inner call of the adventure came at least as loudly to the ear as the call of duty. Rhodesia, Indo-China, Asia Minor. Monstrous stories, even more monstrous hints. On the table, Rilke's Malte Laurids Brigge. In a way, a double man, double enormous, in which not, as in us, civilization and savagery lead the eternally same, eternally murky battles, but both, in that the elements were at the same time led to their extremes, experienced a dialectical envelope as it were. Another uncanny, awe-inspiring realization of human possibilities. Why now does Yatagan make me think of a man of this beat of all people? The fragrance impression actually bears the characteristics of a "gentleman's fragrance" that seems classic to us: a bright, conifery-etheric forest fragrance, almost a little medical. However, already just below the surface it is over with the cleanliness. The impression of nature is not embellished and far away from cultivated gardens with idyllic groves where the eye can rest. This forest is not safe. The whole picture reveals to us undergrowth, in which skeleton bleaches. The otherwise so uniform earth scent splits into its elements and not all are lovely: urine, secretions, an elusive impression of heat (Meanwhile reformulated?) Gar neutered? Then what kind of bestial bomb must he have been in the seventies?! Hard to imagine...). After a few hours then more conciliatory leather notes: The animal is eaten, its skin tanned. Plus a hunch of incense. The durability is good, the Sillage never exceeds an arm's length when used sparingly. Uniqueness? For my part, I haven't smelled anything like that yet. Anyone who is seriously interested in an "Alpha-Male" fragrance that ranks beyond ridiculous office stallion caricatures and disco furniture fragrances should be referred to this fragrance. I wouldn't be surprised if he didn't pay a single compliment at the beginning, but with his primordial conception of masculinity hidden under the Saubermann shell, which lies deeper, he could unfold a profound, yes, "pheromone-like" effect. Perhaps not a perfume for every day, but one that can force the wearer into a certain posture when he needs it. The fragrance that wants to live forever young. Yatagan is in its late forties but looking like it's going to live forever... forever young! It is a magnificent and contundent animalic fragrance. It's one of the best examples of a very manly perfume, as per my perception. Yatagan exists to satisfy perfume lovers (like me), who love the smell of tanned leather, horse stables, cellaries, wood smoke and heavy herbs composition. It is a mixture of beauty and massiveness. Its clinging warm, bold, and sensual scent that also evoques rare oriental woods and incense. All the note lists I consulted are different and Caron doesn't have an official one in their site. I will just follow my nose and write about the notes and accords that seem right to me. This is a not yet extinct tyranosauric super male fragrance of the 70s and 80s. 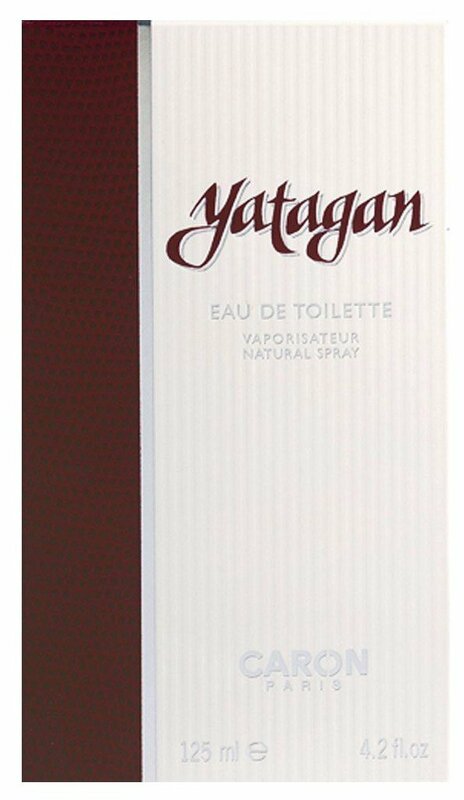 Yatagan reminds me of some "green", "fougére" and "chypre" fragrances. I remember Polo Green, Jaguar for Men and Quorum for instance, but it mainly comes to my mind Halston Z14 also created by Vincent Marcello. They do not have a similar scent, but evoque a similar feeling and vibe. If you are looking for a similar fragrance I can just suggest "Elogie du Traitre" by Etat Libre d'Orange and the discontinued "Phileas" by Nina Ricci. Nevertheless I do like the Caron's fragrance a lot more. Comparing it with the perfumes I mentioned, Yatagan is sharper and drier, with heavy spicy notes of culinary estragon (or tarragon or basil), galbanum, leather, smoke and no sweetness at all. The pine heavy note in here is not fresh green. On the contrary, it is dry and steaming like a pinewood in a hot, dry Mediterranean Summer. The best way to describe this smoke note is of both soft and rough fume, with a musky and coriaceous scent, and a bit of resin as well. Addressing the "cellary" accord, besides the animalic note several other notes fulfill that association: galbanum, lavender, pine, oak moss, artemisia and geranium are quite present. These "notes ensemble" create a vegetable effect that reminds you of a grocery at the end of a busy day, or a barnyard scent. The animal note enhances the latent softness of the fragrance, forcing the notes into a continuous blend. It is by no means out of place. In fact, it may be the main agreement that people experience in this fragrance. I'll even say it's really close to what natural good quality castoreum smells. It's just divine and apropriated. After such an heavy collection of notes description, performance may disapoint a bit as it is only a bit above average and not beasty as you might expect. - Sillage: 8.0 (up to 5 feet for 2.5 hours with 3 sprays; projects for 2 hours); practical skin scent till the 8th hour. - Wearability: 8.0 (high during Winter, Spring and Autumn, but avoid extreme heat or cold). Advice: Try before you buy if you are not familiar with animalic fragrances. Quoting Wikipedia: "The yatagan or yataghan (from Turkish yata?an ) is a type of Ottoman knife or short sabre used from the mid-16th to late 19th centuries. The yatagan was extensively used by horse riders in Ottoman Turkey and in areas under immediate Ottoman influence, such as the Balkans and the Caucasus. The majority of yatagans date from the period 1750-1860, and from the number of plain, wooden-hilted weapons they were honest fighting weapons as well as ornate parade weapons. The more ornate examples were often worn as a status symbol by civilians, as well as military men, much in the way smallswords were worn in 18th century Western Europe. Occasionally blades were cut down from broadswords or cavalry swords, but in general the forward-curving single-edged blade was used." The name really fits well this fragrance. Music: The Animals - "House of rising sun"
Notes: petit grain, lavender leaf, geranium leaf, pine, fennel, basil, artemisia, oak moss, musk, woods, patchouli, castoreum, labdanum and styrax. This fragrance opens with a dry accord of herbs slightly sweetened by geranium leaf that is reminiscent of dark herbal liquor. The sweetness of the head accord burns off quickly, leaving me with a plethora of herbal notes. My nose detects pine, basil and fennel as the dominating notes and the overall impression is quite medicinal/apothecary. The base of this accord is interesting, at first it is rather dry and bitter, then it subtly changes into something more sweet but still undoubtedly vegetal in nature, like a special kind of wood. As the fragrance progresses, the woody notes gain strength. Underneath the woody notes I smell a slightly sweet resinous notes.This is confirmed by the further development, the composition gets rounder and looses all of its herbal components. I would say resin and warn woods. Lasts 6 hours on my skin. Yatagan for me is one of those fragrances I really don't wear as much as I should or could. It really gives me everything I want from a fragrance, strength, longevity, woods, herbs, the smell of animal posteriors... I really love the rotting forest feeling I get from this. Like Kouros, this is one of those fragrances that really push the envelope of decency. It's like a gamekeeper's leather satchel full of wild herbs and wood shavings and carrying the scent of decay. Not the rancid smell of death, but the smell of humus and fungi growing on logs. I understand the soup references (though Agua Brava is much more evocative of soup to me). The richness of the notes found in Yatagan makes it quite different from most of what is released nowadays. For those who are fans of the Hobbit Movie, Radagast the brown would wear Yatagan. Herbal chicken soup or a brilliant master piece? After testing Yatagan for the first time I start to wonder whether it is such a great idea for a relative newbie like me to test 'semi-blind', viz. without looking up notes. First impressions often impact the entire perception and are hard to extinguish. For Yatagan, the first impression is to smell herbal chicken soup or some type of herbal pasta. Mind you, it doesn't smell totally wrong (unlike some of the urn samples by Caron that turned me off), especially because I had high hopes after selecting Yatagan out of the list of master pieces according to Luca Turin's Perfume Guide. After looking up the notes and reading reviews, it wasn't too hard to understand why I was thinking of soup: mentioned are basil, water cress and mint (not here), tarragon (Parfumo) and several others wrote about smelling celery (a note that is absent in every note declaration), while it is very well possible the castoreum-note caused the idea of smelling chicken soup. As much as I tried, I couldn't really notice much of the woodsy notes in the drydown, quite likely caused to a malfunctioning nose (dairy-allergy!) as well as smells of real chicken in the kitchen. I feel like a betrayer not being able to appreciate this master piece due to wrong first impressions. This is to be continued later in spring, when Yatagan gets another chance as a seasonal pick. Yatagan immediately impresses with its pine opening, before also adding a tremendous herbal woody oak-moss combo to form the scent's heart. Castoreum and musk create an animalic aspect to the scent that combine with more woody notes for Yatagan's base notes. Projection is quite good, with above average longevity. Yatagan is definitely my kind of scent. It is very "old school" but does not smell dated in the least. I don't get the celery scent that others have mentioned (and thankfully so, as I hate celery). I *do* find Yatagan to be quite the masculine powerhouse that is somewhat unrefined and a bit out of control. That actually adds to its charm. It reminds me of a time in my life where a scent could be quite bold and distinctive, while still smelling good. Yatagan may not be for everyone, but it certainly is for me and I will be buying a bottle. Great stuff, and such a bargain at current day prices, IMO. I give it 4 to 4.5 out of 5 stars, and it is highly recommended! Hmmm, at first spray all I could smell was celery and Thanksgiving dinner! This is a loud one and I love it! After reading through several reviews, I can certainly detect the spices used in this fragrance. Yatagan really is an original and for the first time outside of niche, I can actually detect individual notes. Pine, Patchouli, Vetiver, and Oakmoss are amongst the listed notes, so many of my favorites. You just can't go wrong with this line up. This fragrance is not for the Aquatic lovers and it is not a safe blind buy. You must have a lot of courage to pull this one off and wear it well. I’ve been thinking about the wonderful yet inexpensive perfumes out there. There are many well considered, beautifully made perfumes that you can buy for a song. Cheap or pricy, though, the best perfumes must stand up to the same criteria. Is it coherent and balanced? Does it hold up over time? Does it captivate you, that is, would you wear it as your only perfume? Crucial: does it smell good? Is it ‘you’? Does it remain engaging throughout the entire day? Will it last that long? Would you want it to? Does it work for you in all the compartments of your life: At work? Cooking? Socializing? Cruising? In a class? On the subway? Let’s look at perfume criticism. And let’s not start with the accepted classics, the greats, the grandes dames. Let’s start with the commonly-available, inexpensive yet extraordinary perfumes, since this starting place is troubling to the notions of exclusivity and refinement baked into commercial perfumery by virtue of its long-standing affiliation with fashion. I hesitate to use the word “great” in perfumery. I recognize perfumery as an art form, one of my favorites. But greatness as a notion comes from more accepted genres of art and established forms of criticism, when what we need are new vocabularies and systems to consider perfume. Think of greatness as an aspiration or a standard of the Old School. I would hope that the New School in perfumery and criticism would promote quality, creativity and analysis, but not hold out judgment and arbitrary thresholds as principal goals. Greatness seems to me to connote a feigned objectivity, or at least a socially agreed upon judgment, when it is in fact fundamentally subjective. Greatness is cited when we’re looking for the dividing line: high/low, good/bad, worthy/crass. Lets find words that assess and characterize, words that can speak both to objectivity and shared subjectivity and foster a less removed esthetic of criticism. I’ve commented on some of the brilliant, inexpensive perfumes available. Azurée, Grey Flannel, Ivoire, Tocade, Troisièmme Homme. There are still many I hope to get to: Tommy Girl, Bulgari Black, Halston I-12 and Z-14. I might have mentioned that they’re inexpensive, but on reflection, I really want to focus more directly on the associations (or their lack) of quality, creativity and price. Dissociating cost and excellence is an important step in taking a discerning look at perfume. Divorcing notions of status and aspiration from the sale and use of perfume is a tricky prospect since perfume and fashion are historically and commercially enmeshed. Still, while perfume and fashion are bound in the marketplace, perfume doesn’t necessarily have to be viewed and debated in the same light as fashion and design. Looking to other art forms, music is probably the most commonly used analogy. How often is a perfume described as orchestral, loud, harmonious, shrill or dissonant? We could just as easily consider perfume as performance, borrowing the language of dance and theater. Additionally, the recent recognition of the perfumer as auteur allows us to look at a perfumer’s body of work over time just as we might that of a visual artist. Add to these perspectives the scientific advances in chemical analysis and synthesis and perfumery looks ripe for a new if not radical form of critical thought. OK, so Yatagan. It smells instantly, recognizably botanical---moss, wood, herbs. All bitter, all dry. But Yatagan’s trick, its value is the scale of its components, its abstraction. To read peoples’ reviews, Yatagan is the black box of perfume. To some it is a spicy woody, to others, a definitive leather, to others still, purely herbal. And I’d be negligent if I didn’t note that nearly every other review mentions underwear. I usually fall in pretty easily with the drawers and jockstraps crowd, but in this case, I’m entirely in Caron’s marketing department’s camp. Flowerless oriental chypre. So perfectly, hollowly evocative. It is instantly familiar to the ear, like flourless chocolate cake, but is also an easily decoded intimation. Flowerless = not pretty (read: the troubled masculinity of 1976.) Oriental = what else can we call something spicy and resinous while tediously leaning on the stereotype of the inscrutable East? Chypre = green, bitter, mossy and, importantly, sophisticated. I imagine Caron might have been scared of Yatagan’s distinctiveness (to me a gorgeous part of its allure) and attempted to use classic fragrance language to come up with a catch-phrase to comfort and flatter its potential buyers. Caron may have been encompassingly vague in their marketing language, dimly offensive in their oriental allusion, but fortunately direct and brave in their fragrance. Yatagan has that striking balance of starkness and richness found in the best and most distinctive of perfumes. So given its quality, why is Yatagan so inexpensive? Some factors I can loosely understand: economies of scale over time, brand recognition obviating the need for specific product marketing, possibly lower composition/production costs, clear profit margins assuming the initial investments in the 1970s have been returned. But rhetorically, why does Yatagan cost so much less than the weekly iteration of men’s designer crap fragrance? And why does Yatagan cost literally one-tenth the price of some directly comparably, high quality fragrances like those from Serge Lutens and Amouage? Yatagan made a direct hit on some childhood memories, especially of my favorite relative, my grandfather, who smked Cuban cigars and left the stubs lying about. I was four or five, and would sniff those stubs. Since Yatagan lists no tobacco, I have to think it has elements of whatever scent my grampa wore. It is old-school, take no prisoners masculine. As a female, to wear this would take an amount of badassedness. Not sure I can pull it off, but half a spray under a floral could be wonderful. What exactly was the inspiration for Yatagan from Caron? It is more fitting that we understand the meaning of the word yatagan before we can appreciate the story behind this fragrance. Yatagan is a Turkish word for a knife or short saber that was used in the Ottoman Empire during the mid-16th to the late 19th centuries. This knife or saber consists of a single-edged blade with a stout handle often decorated sometimes with precious jewels such as diamonds, emeralds and rubies and other times with engraving. Many yatagans date from 1750-1860 and were used for fighting as well as ornate parade weapons. Civilians and military men wore the more ornate versions as a status symbol. There was also a smaller lighter version of the yatagan that were used by infantry soldiers as not to interfere while carrying them on a march. The town of Yatagan is located in southwest Turkey and very famous for their yatagansmithing and it is considered the birthplace of yatagans. Legend has it that the town was conquered by a Seljuk commander and blacksmith by the name of Osman Bey or otherwise known as Yata?an Baba or "Father Yatagan". Yata?an Baba later settled there and subsequently invented the yataghan type blades and gave his name not only to the town but to the saber he created. Yatagan the fragrance was introduced in 1976 by perfumer Vincent Marcello for Caron. Marcello's other notable creations was Halston Z14 which debuted in 1974. Caron describes Yatagan as "An invitation to journey into the world of the famous Ottoman horsemen wielding the eponymous Turkish saber with its curved, tapering blade" as stated on their online site. I believe that their concept for this scent was every bit of the allure and masculinity portrayed of western Asia. It is masculine, old world, dry, green, earthy and leathery. Yatagan definitely represents a precise combination of those scents. I also think that Caron captured the essence of the word and accurately describes not only the place of conception but the article itself. Yatagan opens sharply with a very dry green herbaceous masculine note that is slightly citrus. Lavender is found hovering in the top notes. I do not find its presence predominant, it simply harmonizes nicely with the other green notes. The combination of these greens might easily be conceived as a celery note. The wormwood and artemisia top notes definitely find their way in towards the end of the opening with a sharp bitter presentation. The heart note progression finds the green herbaceous notes mellowing but now drizzled with a fresh sappy pine resin. The pine note is the only sweetness I find in Yatagan and seems to be a bit smoldering or smoky probably due to the styrax. Don't worry, I wouldn't associate the pine note to any of the hundred other scents that come to mind when anyone mentions pine. After this intense hardy pine heart notes, Yatagan settles into a warm leathery type Chypre. The base has a bit of a animalistic presence with castoreum, which seems to camouflage itself gracefully behind the buttery leather base note. There is a successful blending of the pine needles, patchouli and vetiver that probably assists in keeping the castoreum in check and giving it a more bearable earthy quality. Besides these very subtle movements through the scents note stages, Yatagan is relatively linear. It starts off bold and bright but moves quietly to a warm finish so as to allow the fully enjoy of the masculine profile of this fragrance. Yatagan can be a bit challenging to wear and is not for everyone. It requires a love of dry sappy pine and a bit of a dirty earthy quality in order for anyone to successfully endure it's effects. It is not a loud, fussy, pretentious or flamboyant men's scent as you might expect from being a mid 70's fragrance creation. It is more of an aggressive, commanding and authoritative type that is inspired by a time long past. I personally find Yatagan thoroughly enjoyable and easy to wear especially in the fall and winter or cooler climates. You might also try it in the warmer months but use sparingly. Yatagan stays very close to the skin but it has a good longevity. It is something that should be a part of your collection and can easily be one of your new favorites. I finally received this in the mail this morning. I must admit that I was preparing myself for something that I might dislike, but I highly doubted that seeing that I enjoy most male fragrances. Yatagan is indeed a very distinctive and unique scent, and I'm happy to say, one that I absolutely love. I considered wearing this myself, but I decided that it was risky because this fragrance is so very masculine. Spicy, woodsy and mesmerizing, even just sniffing from the bottle makes me sigh. I'm really surprised that some men refuse to wear this. In my opinion it would make a man so much more appealing through its darkness and sensuality. It actually reminds me of the Australian bush because it has a note that smells rather similar to eucalyptus oil. It also brings with it sentimental value through the distinctive pine needle scent. As a child there was a giant pine tree that grew in the corner of my yard, and many a time I would play under that tree and collect the pine cones like they were little treasures and hide them in my room. Yatagan brought this memory back to me today and I'm truly grateful for it. This fragrance is indeed very strong. One spray and the room is shrouded in a cloud of this deep, mysterious and exotic aroma. I cannot wait to try this on my man. I do believe I will be paying him a visit very soon.